I'm still recovering from a bad case of blogger burnout (hence the lack of updates in this blog), but I have a bit of news that's too good not to share. Drumroll, please... I'll be flying to South Korea next month! Yes!!! I will finally be setting foot in the Land of the Morning Calm, one of my dream destinations here in Asia! I know there are many of you who share the same dream as I do (hello, fellow Kpop fangirls and Kdrama addicts!) so I thought of sharing my experience in this blog post. 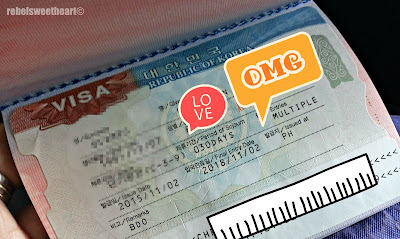 Hopefully, you might find this useful when you apply for your own Korean visa. This boy is finally flying to Seoul! Processing time is 3 working days for frequent travelers (those who have been to OECD member countries within the past 5 years) and 5 working days for first-time applicants and travelers who have not been to any OECD member country. 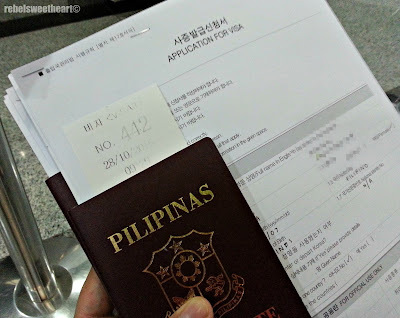 Visa fee is FREE for those who plan to stay in Korea for 59 days or less. 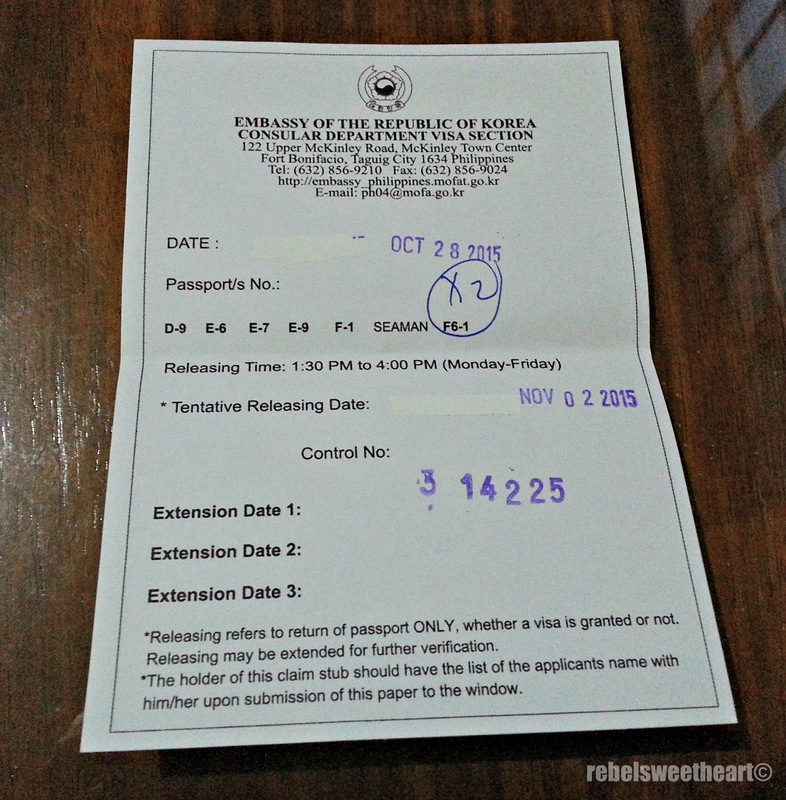 For those who plan to stay for up to 90 days, a visa processing fee of Php 1800 is required. 1. Fill out the form neatly, completely, and with no erasures. Do not leave any item blank. Put N/A if not applicable. 2. For your address/telephone number in Korea, you may write down the address/telephone number of the hotel where you plan to stay. In my case, I wrote down the address and phone number of a guest house in Hongdae, as recommended by my friend who has previously traveled to South Korea. 3. For the estimated travel costs, write a realistic amount that would be equal or less than the amount reflected in your Bank Certificate/Bank Statement. For instance, if you have Php 100,000 in your Bank Statement, it would be safe to declare $1200 as your estimated travel cost. 4. As to who will pay for your travel-related expenses, you can simply write 'myself' or the name of the person funding your trip. In my son's application form, I wrote my name and in the 'type of support', I wrote 'financial'. 5. Bring your old passports, if you have any. I brought mine, just in case the consul would need to check the stamps from my previous travels abroad. 6. For your Certificate of Employment, make sure that it includes your company's landline number and e-mail address. You'll never know if the Embassy will really call your workplace to verify your existence/employment details. 7. For the Income Tax Return, you can request this from your HR. 8. Now for the Bank Certificate/Bank Statement and the amount of money that you need to have... I'm not really sure. I guess it would be safe to have around Php 85,000 as your Average Daily Balance (ADB) for the last six months. Promo has been extended until December 31, 2016! 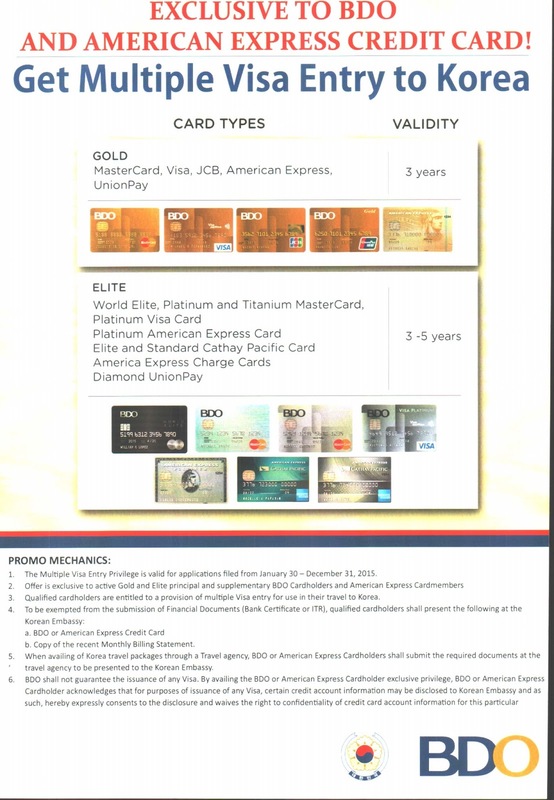 BDO Gold cardholders can get a multiple entry visa valid for 3 years, while BDO Elite and American Express cardholders can get a multiple entry visa valid for 3-5 years. This is actually the secret to our Multiple Entry visa. Along with the aforementioned documents, I also presented my American Express card and submitted my card's Statement of Account from the previous months. 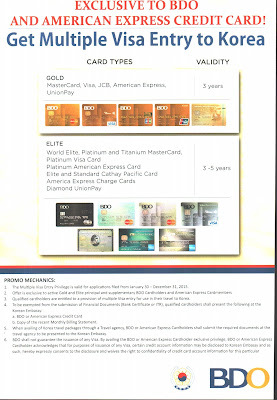 BDO Gold and Elite cardholders are also exempted from submitting their Bank Certificate and ITR's. I wanted to be on the safe side, so I submitted a Bank Certificate and ITR nonetheless. BPI Gold and Platinum cardholders are now also eligible for multiple entry visa South Korea. Same requirements apply. 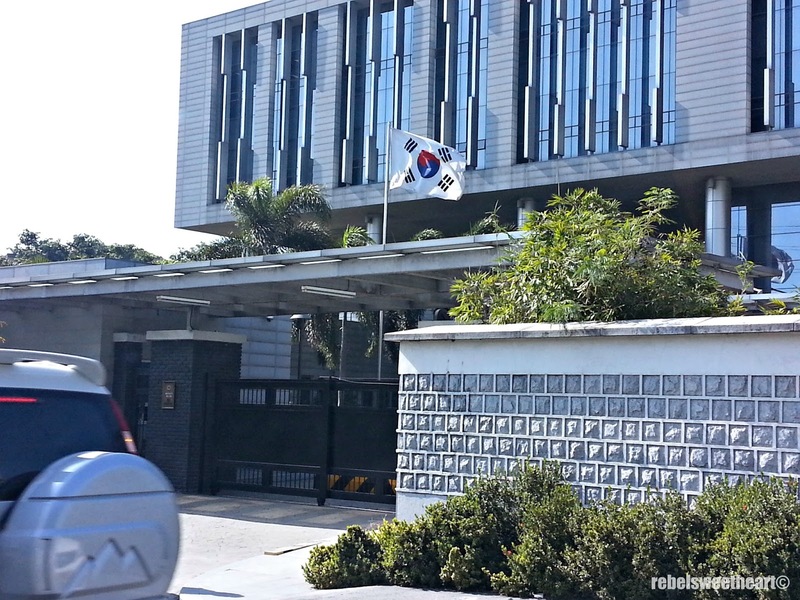 - The Korean Embassy is open daily from Mondays to Fridays, except on holidays. - Applications are done in the morning from 8:30 am to 11 am only. 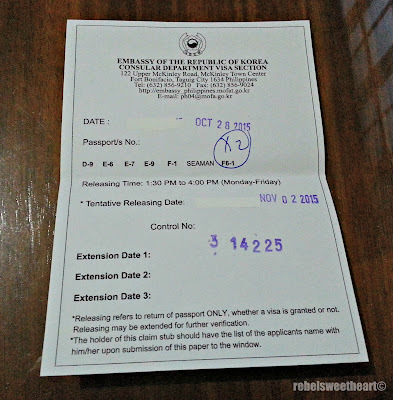 - Releasing of passports are done in the afternoon, from 1:30 pm to 4 pm. - Once you enter the Embassy, your documents will first be reviewed by the security guards/personnel. You will then be given a number and will line up at either Window 1 (first-time applicants) or Window 3 (frequent travelers/BDO or AMEX cardholders). Don't worry, the lines are not that long, and there are no queues that go on forever. It took me less than ten minutes to complete the entire application process. - After the consul has reviewed and verified your documents, you will then be given a piece of paper which you need to present upon claiming your passport. 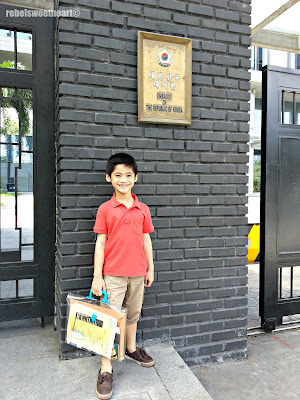 I'm glad that our visas were processed after three working days. I had not been able to sleep soundly during those three days of waiting so imagine what state I would be in had I waited for five working days! Haha! - Applying for a visa through a travel agency is alright, but I see it as a waste of money. After all, the documents will still be coming from your end. For more information on Visa Requirements, and for the latest Visa Announcements, visit the official website of the Korean Embassy. Did you already have your plane tickets purchased when you applied? Hi, I'm planning to apply for a Korean Visa next week and I'm quite confused at some parts of the application form. Glad I read your blog post. I just want to ask some question. 1. Do I still need to put N/A in parts stating "if 'Other' please provide details ( )" even of my answer to the initial question is not 'Other'? 2. In section 10.2(c) Should I put "Financial" as the type of support? 4. In sections 9.4-9.5, can I put the hotel's address and contact number even if I still haven't booked it yet? Sorry for the questions. I just want my application form to be perfect. Haha! 2) I did write 'financial' in that part. 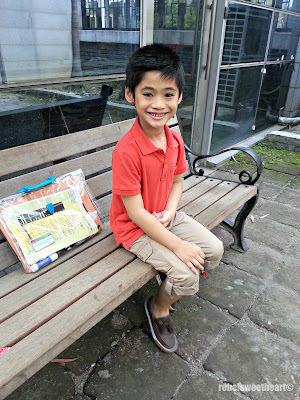 3) I wrote DFA Lucena on my application form. Your excitement is contagious! I hope you have a wonderful trip with your son. What an amazing destination! Really great information you've posted. I'm sure there are many people who could benefit from your experience. Nice job! Sounds like a trip to look forward! It's always nice to visit a country you've always wanted to go to. I wish you luck and have fun! Thanks for the tips on getting a visa! How exciting! I'm sure some wonderful adventures await you all! Safe travels!